One aspect of our proposed plan for dealing with government and judicial corruption is to ask all elected and appointed government officials and all political candidates to sign an Honesty Contract with the Citizens of the United States of America. 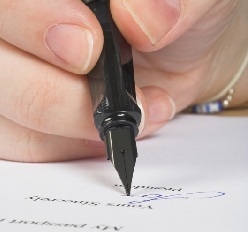 This page will list all government officials who sign the Honesty Contract. Reuben Torres, Board of Freeholders candidate for Essex County New Jersey, is the first candidate for elected office in the United States to execute an Honesty Contract with the Citizens of the United States. Kristi Devine, candidate for Selectman in West Newbury, Massachusetts, is the second candidate to sign. We want all of our supporters to vote only for candidates who have signed the Contract.